Sign up for Broadjam today to follow Spiderhound, and be notified when they upload new stuff or update their news! This song is about going out to the club for the night of your life with your best friends. Giving up on keeping it all together. Loosen up already felling better. Where's my cup? Just hand me a drink or whatever. Fill it up until I can't even remember. Oh...are you ready to rally? Cuz if you aint then there's the door. Cuz we're all here to party. Until tomorrow morning this is what we're living for. This is what we're living for. We can get it. Don't you know we can get it? Boy you know we can get it. We gon get it we gon get it. Up and away. Yeah we can get it. The world starts to fade. Pick your poison. Can't hold me down. And we can get it. So come with me now. Tell me what you want. And we can get it pick your poison and we can get it tell me what you want. Feeling lit and we only getting started. Feel on fire and you know you making me hotter. Squad deep and gathering more as we roll. Make a scene and turning these heads as we go. Oh...and we gon keep at it so if you aint then there's the door. Cuz whatever happens it won't be anything like you have ever seen before. This is what we're living for. 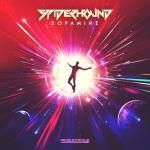 Would you like to help Spiderhound get heard by industry pros by buying them a song submission credit to Broadjam Music Licensing Opportunities?